Or do you feel like when it comes to French vowels, you just can’t win? You’ve probably noticed that they can be very odd and tricky. If you’re an English speaker, that’s because some of them don’t even exist in our language. While some are close to English vowels, others involve totally new reconfigurations of your vocal tract. And don’t think that you can just “get by” without learning the new sounds of French vowels. Think about how easy it is to confuse French words if you mispronounce some of the similar sounding vowels in this video, for example. The more you keep learning new French words, the more you’ll notice how easy it is to mix them up. Thus, this post, your guide to French vowels. We’ll cover how the vowels are formed in your mouth, along with examples, so you can master the French letters and spellings that produce them. Then, we’ll look at ways to practice pronouncing them correctly, so you can sound as French as possible! 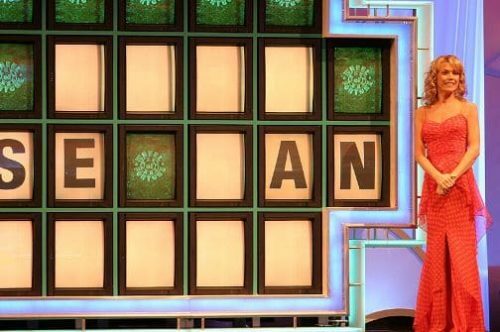 What Are Vowels, and Why Are the French Ones So Tricky? To put it very simply, a vowel is what happens when you’re making sound without constricting it in some way in your mouth or throat. When you constrict the airflow (by closing your tongue against your teeth, for example), you’re making a consonant. Vowels are the base of syllables, and the way that you position your lips and tongue while making them affects how they sound. Standard French has about 13-15 vowel sounds, depending on exactly how you count—what everyone can agree on is that this is a language with a lot of them, and they’re not necessarily easy for English speakers to master. But they’re possible. Close vowels are referred to by some experts as high vowels, and open vowels are sometimes referred to as low vowels. This is just a matter of using different words for the same thing; I’ll use the terms “close” and “open” throughout. Close vowels mean that your tongue is higher, closing off the space inside your mouth more. Open vowels indicate the opposite. We also talk about vowel backness and frontness, or how far to the front and back your tongue is when you’re making vowels. And, finally, we have rounded or unrounded vowels, which refers to what you’re doing with your lips. In the land of French vowels, you’re going to round them a lot more than in English. This post is organized by vowel sound and will use the IPA (International Phonetic Alphabet) symbols, which are the letters used to indicate pronunciation in most good dictionaries with complete and helpful features. All French words given as examples are linked to pronunciations from Forvo.com; many offer pronunciations from several speakers. The English examples are from standard American English, and may not be applicable for all accents. Note that in English, we unconsciously make many of our vowels into diphthongs (or a combination of two vowels), as in this video, which shows the [e] and [eI]. So when pronouncing [e] in French (explained below), try to get a clean, true, single vowel sound. This is known as the frontal close unrounded vowel, and it’s not too difficult for English speakers. It’s like the “ee” in the English word “knee.” Examples include ici (here) and vie (life). This is similar to the vowel in “boot,” but more rounded. Try saying that vowel, but with your lips in a tight circle. The resulting sound might not seem too different to you, but if you do your /u/s this way, you’ll sound much more French. Examples include fou (crazy) and sous (under). I’ve previously written an entire post about what a nightmare this frontal close rounded vowel is, and an in-depth guide to conquering it. To many English speakers, it sounds just like /u/ above; if this is the case for you, definitely click on that link for the dedicated article. In terms of pronunciation, this sound is differentiated from /u/ by moving the tongue up to the front. If you have a perfect sous in the previous example, try “freezing” your mouth in that position and then moving your tongue forward. The result should be the vowel sound in su (known, past participle of savoir). Another way to get there is to travel from another close vowel in this section, /i/. What’s the difference? Mainly, it’s the rounding of the lips, so try saying lit (bed) and then keeping your mouth the same (perhaps the tongue just a bit further back) and rounding your lips to get lu (read, past participle of lire). The close-mid frontal unrounded vowel is like /i/ but a bit more open; a bit like the vowel in “play,” but be careful not to make a diphthong of it when speaking French. French examples are nez (nose) and the end of infinitives like parler (to speak). This is the rounded twin of the /e/ above. As was the case with /y/, we don’t have this close-mid frontal rounded vowel in American English and so we have to learn it. The easiest way is again by approaching it from the /e/ that we do know, and then rounding our lips and letting the tongue relax back just a tiny bit. Examples include nœud (knot), peu (little) and feu (fire). This close-mid back vowel is similar to our “o,” as in “so,” but without the diphthong that we unconsciously add. The French sot (stupid), therefore, sounds the same, but shorter and cleaner. The open-mid front unrounded vowel is the vowel in “bed” for Americans. You use it in French when you ask for a delicious crêpe or cèpe (cep, a type of mushroom). The open-mid front rounded vowel is, like /ø/ and /y/, unfamiliar to American English speakers. It can be achieved by taking the /ɛ/ above and pronouncing it with rounded lips. Examples: jeune (young) and œuf (egg). The difference between /œ/ and /ø/ is that the tongue is a little bit lower for /œ/. You’ll also notice that both vowels tend to be spelled the same way in French: eu and œu. In these cases, you should pronounce /œ/ (somewhat lower tongue) when the syllable ends in a consonant and /ø/ when it doesn’t. Try comparing peu and peur (fear). I know, I know. 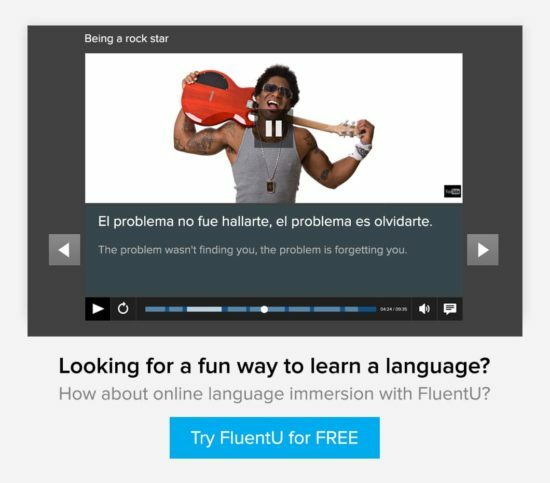 You can also just switch to learning Spanish, which has five vowels. This is a mid-central, somewhat rounded vowel. Some consider it identical to /œ/ above, when it’s actually pronounced. It also tends to just drop out of words, such as with the pronunciation at the link by user “spl0uf” of rappeler (to remind)—he shows how /ʁapəle/ sometimes becomes /ʁaple/. This open-mid back rounded vowel is as in “thought,” but with the tongue further forward and the lips rounded. Examples are note (note) and sol (ground). This is like the American English “father” but with your tongue just a bit higher and further forward. Examples include là-bas (over there) and maladie (illness). It’s also not a particularly hard vowel sound to achieve. Just remember, when you see syllables that close with an m or an n (and that are not followed immediately by a mute e), you do not pronounce the m or n, you rather just nasalize the vowel. In IPA, they’re indicated in the same way as their vowel cousins, but with a tilde ( ˜ ) on top. We thus have words like champ (field) and fin (end). For a more technical demonstration of the French vowels, this video from Gabriel Wyner really merits watching (you may need to watch it several times in order to follow it though). For minimal pairs, there is a series of videos on YouTube covering many, as well as some tricky consonants. It’s always good practice to learn the correct pronunciation for vocabulary right away, so consider using an audio course if you aren’t already. French Today offers some great targeted audiobooks for beginner and intermediate levels, with hours of audio that can be played back at two different speeds. To check your pronunciation, you may want to consider getting individualized feedback from a native speaker. I think that pronunciation is one of the key areas where classroom lessons fall short. Think of it this way: Would you rather sit in a room every day exposed to people who mispronounce the language as badly as you do, and have just a few rare moments to practice yourself, and a couple of fleeting corrections from the teacher? Or would you like to do (often just as cheap) lessons over Skype with a native speaker who can give you constant feedback about how close you are to saying sentences correctly? Italki is one good place for finding such teachers, and we have an article about similarly useful language exchanges. You may also want to consider checking out Verbling, which makes the whole process of finding an online teacher very intuitive and easy. You can simply browse through teachers based on a variety of factors, look at all the information you need to on their profiles, select someone and schedule an online lesson. To practice your vowels, prior to meeting with your teacher or language exchange partner, you can work on your own and create sentences that relate to your life using the example words in this article. Then check with your teacher, first to make sure that you’re understood, and second for how accurately you’re approaching the target sounds. I’ve found it useful to have teachers indicate if I’m getting closer to or further from the target—often they have a tendency to repeat the word back to me, which is good to hear, but not useful for knowing if I’m getting close or not. You can also practice with minimal pairs, and see if the teacher correctly identifies the word that you’re going for. What I don’t do is ask native speaker teachers to explain how they arrive at the pronunciations, because they usually have no idea. Vowel pronunciation is something you’ll want to come back to constantly, as you continue in your language adventures, to make sure you’re still pronouncing words correctly as you try to work on minimizing your accent. Capture these vowels, and you’ll not just be communicating, you’ll sound quite nearly French. Mose Hayward has been in a delicious battle with French, Catalan and Portuguese vowels for more than a decade, and is now taking on Serbian pronunciation. He blogs about languages, drinking, dancing and romance for travelers at TipsyPilgrim.com.